GameMastery shouldn't waste their time drawing a common room for a bar fight or sketching a sleeping porch for a midnight raid. 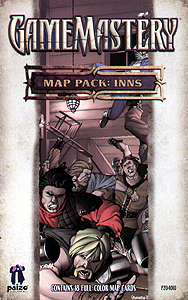 With GameMastery Map Pack: Inns, you can drop a few tiles and continue on with the game. Keep it simple. Keep it fun.